Looking for a New MINI Cooper in your area? CarGurus has 134 nationwide MINI Cooper dealers with 14,499 new car listings. The modern MINI Cooper debuted in 2002 as a modern take on the original MINI of the 60s. Two major redesigns have occurred in 2007 and 2015, bringing technology, performance, and fuel economy gains. Moving into 2019, MINI has released a comprehensive update for its bread-and-butter model. The Cooper comes in a nice assortment of body styles. There’s a 2-door hatchback, a 4-door hatchback, and a convertible. Each one preserves the brand’s heritage design cues: round headlamps, a prominent grille, black pillars, and a flat roof. MINI recently simplified its logo, and that new emblem decorates the front and rear ends of the 2019 Cooper. The standard halogen headlamps have been redesigned, and there are new LED units as an option, replacing the HID option from previous years. The rear lamps get love, too. Each now features one side of the iconic Union Jack. In addition, the MINI Cooper offers three new metallic paint finishes, which are Emerald Grey, Starlight Blue, and Solaris Orange. Inside, MINI has added interior themes and colors, such as the Malt Brown Chesterfield available for hardtop models, and a new 6.5-inch infotainment display with Bluetooth comes standard. Buyers can upgrade to an 8.8-inch touchscreen unit with navigation. The MINI Cooper also features a wireless charging option integrated into the center console, which includes a second USB port. The SIM-card enabled MINI Connected service can now provide advanced real-time traffic information as well as emergency calls, and it supports Apple CarPlay - although not Android Auto. The MINI Yours Customized program, which allows owners to order cars and truly personify them, has been expanded for 2019. One neat Yours Customized option is a set of projectors that beam the MINI logo onto the pavement when the car is first unlocked. All three of the Cooper’s body-styles continue to come in Base, S, and John Cooper Works trims. Base gets a turbocharged 1.5-liter 3-cylinder engine with 134 horsepower and 162 pound-feet of torque with a standard 6-speed manual transmission or optional 6-speed automatic transmission. In the 2-door hardtop, the lightest variant, this powertrain gets the car up to speed in just 7.4 seconds for the manual and 7.5 seconds for the automatic. S bumps the engine up to a higher-output, turbocharged 2.0-liter inline 4-cylinder engine with 189 hp and 207 lb-ft, and it comes with either a standard 6-speed manual transmission or a 6-speed automatic with optional paddle shifters. 60 mph comes up in just 6.5 seconds for the manual and 6.4 for the automatic. In addition, the S benefits from more-aggressive front and rear bumpers, standard fog lights, MINI’s Performance Control system for improved cornering, and heavier bolstering on the seats. Lastly, there’s John Cooper Works, named after an important influence to the MINI brand. It has the same 2.0-liter engine as the S, which is ramped up to 228 hp and 236 lb-ft. Buyers also have the same 6-speed manual and automatic transmission choices, but paddle shifters are standard. This variant zooms to 60 mph in 6.1 seconds with the manual and 5.9 seconds for the manual. John Cooper Works, too, has unique interior and exterior styling. The same safety options as before return in this new model, bringing a full complement of airbags and a standard reversing camera along with optional rear parking sensors. However, advanced driving aids like blind-spot monitoring, lane keep assist, and forward collision warning are absent here. The MINI Cooper is a delightful contrast to the more serious, appliance-like cars one generally sees on the road. 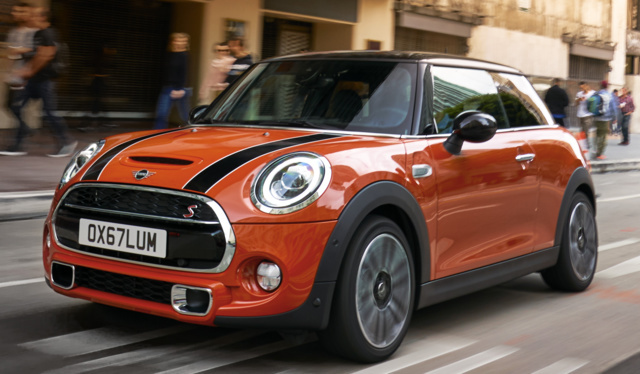 For 2019, MINI’s decisions to up the quirkiness factor and add new options make this cheeky little model even better than it was before. What's your take on the 2019 MINI Cooper? GuruWTGFH The standar level in the Clubman wallows like a 1953 Buick. Rides comfortably as opposed to the “S” models but without the positive feel that they have. The standard model absorbed the terrible Ohio rode with aplom, whereas the ‘S” model feels like it will be destroyed by these potholes . A subjective evaluation to be sure but the Mini has made a reputation of handling like a go cart and the 2019 standard model has lost it’s edge. 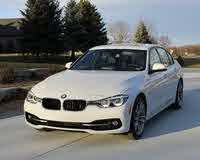 Acceleration is adequate in the standard level as smooth as a BMW, whereas the “S” models are a little more “edgy”. Though my car is a 2010 “S” I recently drove both the “S” and the standard level. My opinions are based on recent personal driving experiences and test drives in excess of 50 miles for each model. Both city and freeway driving were experienced. The new Clubman “S” has it so close to exactly right that you would have to be very hard to please to find fault with it. Granted it won’t be everyone’s cup of tea but for those who truly love to drive and don’t have $70 thousand or so to spend you can’t do better than a “S’ level Mini. Kyree I was also impressed with the Clubman S I drove, although put off by the price. Truthfully, I wish it were a bit longer. It's not quite the same size as other compact wagons, like the Golf SportWagen I had at the time. GuruXSQWM Why won't Mini Cooper offer Blind Spot Detection System???? Enter your zip to see incentives for a new Cooper in your area. CarGurus has 10,661 nationwide Cooper listings starting at $2,300. Hi. Wondering any way to connect secondary Bluetooth in order to use two iphones.... I noticed no auxillary connection available. Thanks for any input!